Most objects react in predictable ways when force is applied to them—unless they have “negative mass particles.” And then they react exactly opposite from what you would expect. 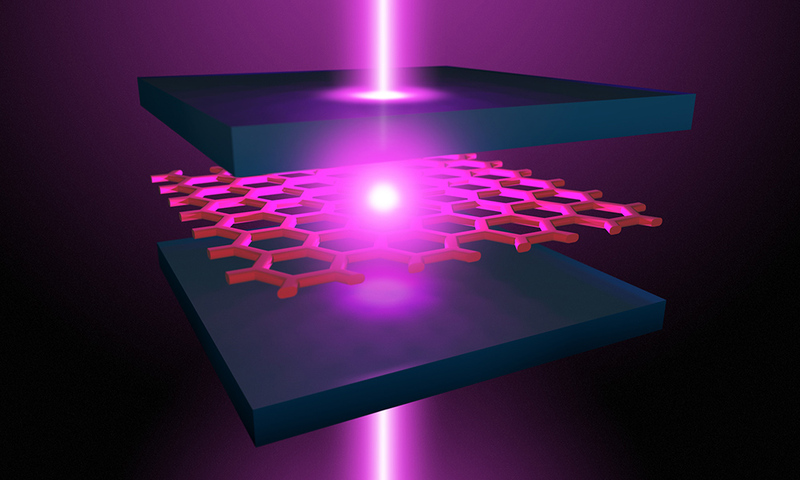 Now University of Rochester researchers have succeeded in creating negative mass particles in an atomically thin semiconductor, by causing it to interact with confined light in an optical microcavity. The device, described in Nature Physics, consists of two mirrors that create an optical microcavity, which confines light at different colors of the spectrum depending on how the mirrors are spaced. The research, funded by the Air Force Research Laboratory, was initiated with funding from Rochester’s University Research Award program, which provides seed money to promising, high-risk projects. Other coauthors include Gary Wicks, professor of optics; PhD students Liangyu (Claude) Qiu and Kenny Goodfellow in Vamivakas’ Quantum Nanophotonics Group; and PhD student Trevor O’Loughlin, all of the Institute of Optics.